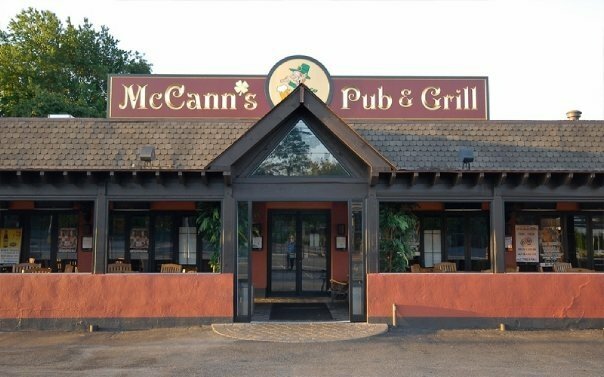 McCann's is one of our favorite places that we keep going back to when we're in the area. We bring our kids during the day with no problem, but after 7pm they do have a strict 21+ crowd. Probably the best part of McCann's is that it has an overall laid back vibe. There's partial outdoor seating, and indoor seating at high tops or at any of their many couches. We are happy to say that they finally replaced their couches! They're actually a little large for the space with little room between, but in our case it worked out great because it meant the kids couldn't really go anywhere. 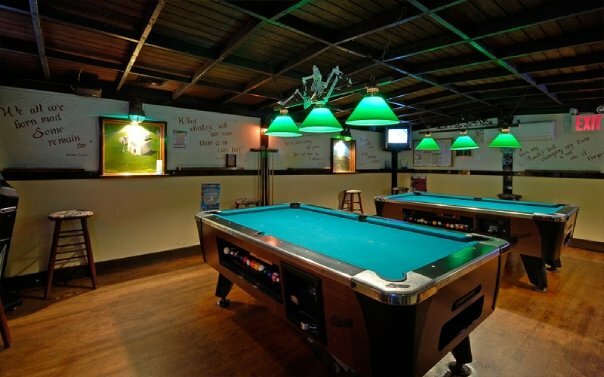 Other great things are countless TVs, a pool room with two pool tables (read below) and a bar that spans almost an entire wall. 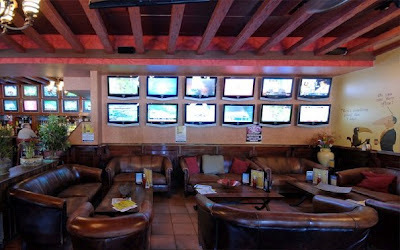 They also have fun trivia games on the TV's as well as an internet juke box and 2 megatouch consoles with arcade games. The reason we keep coming back is because we actually crave things on their menu. Some things are just THAT good! Our favorites are the steak tidbit sandwich (on the apps menu but add $2 to make it a sandwich with fries), steak quesadilla, short rib quesadilla, braised short ribs and their onion rings The menu is extensive with almost a dozen choices from each section--seafood, appetizers, salads, entrees, burgers and sandwiches/wraps/quesadillas. They also have a raw bar to select from as well. One menu we have yet to try is the Sunday Brunch menu, offered Sundays 11am-3pm. They have nightly specials, for instance Wing night on Mondays you can get a dozen wings for $5, Twisted Tuesdays with beer and shot specials, Wednesdays 9pm to close where all drinks are $4 and burgers $8 and daily lunch specials Monday through Friday. One of our favorite things about McCann's is that they have free pool Monday-Friday 10am-5pm and Sunday 7pm-3am. They also show PPV events and although they charge $10 at the door, it gets credited to your bill so as long as you are eating or drinking, there really is no cover. During UFC this place gets packed so it's suggested you come early--they sometimes close off the pool tables to have people literally sit on top of them! When it comes to service, it is usually pretty good. On occasion it has been a little slow given the amount of tables occupied (during lunch its not that busy) but the relaxing atmosphere and great food makes up for any lack in service. Plus, you're pretty comfortable or distracted by all the TV's so it's not that big of a deal! We have come here with large groups when the place is packed and have had great experiences! They're motto is "There are no strangers here.... Only friends who have not met" and that really is what McCann's is all about. Check them out, there's very few places like it!